Murata has introduced the DMH series, the world's lowest profile supercapacitor. The product is designed for peak power assist duties in wearable applications and various other devices. Murata’s DMHA14R5V353M4ATA0 supercapacitor has a very low profile design and at just 0.4 mm thick it is ideal for use in the thinnest devices. Its footprint is 20 x 20mm. The supercapacitor’s 4.5V rated voltage is ideal for peak power assist with lithium-ion batteries, and its 35 mF large capacity and low ESR of 300 milli-Ohms enable peak power assist in tens of milliseconds, with 1 A for example. With its low profile design, the DMH series is aimed at limited space applications and is suitable for use in various wearable devices, mobile electronics, smart cards, electronic paper devices, and similar applications. Meeting the needs of this wide range of applications, the supercapacitor is able to operate over a wide temperature range of -40 to 85 °C. Supercapacitors have over a hundred times the capacity of ceramic capacitors and electrolytic capacitors, and as a storage device they have a longer working life than secondary batteries. 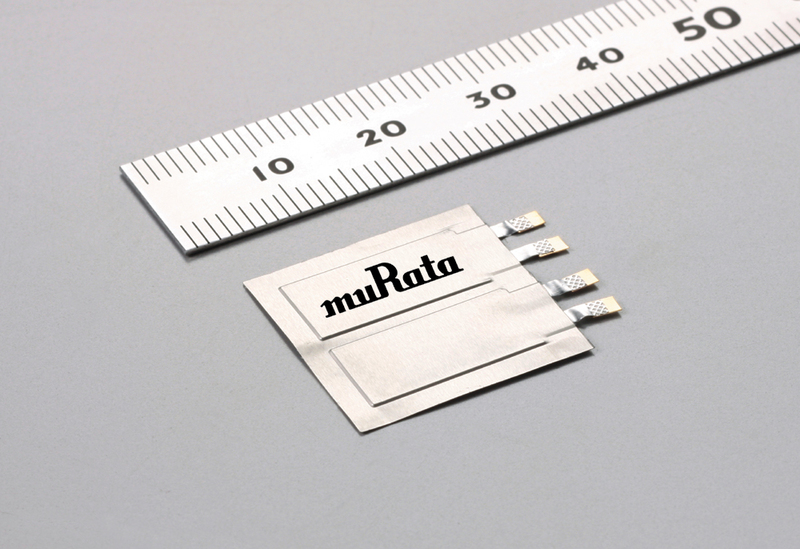 Murata’s supercapacitors are small in size while having world-leading low ESR values. By using the capacitors for peak power assist in small electronics, the product contributes to increased output and power stability as well as functional improvement of the device.